This week’s photo challenge is juxtaposition. That’s the side-by-side comparison of two things to emphasize contrast. 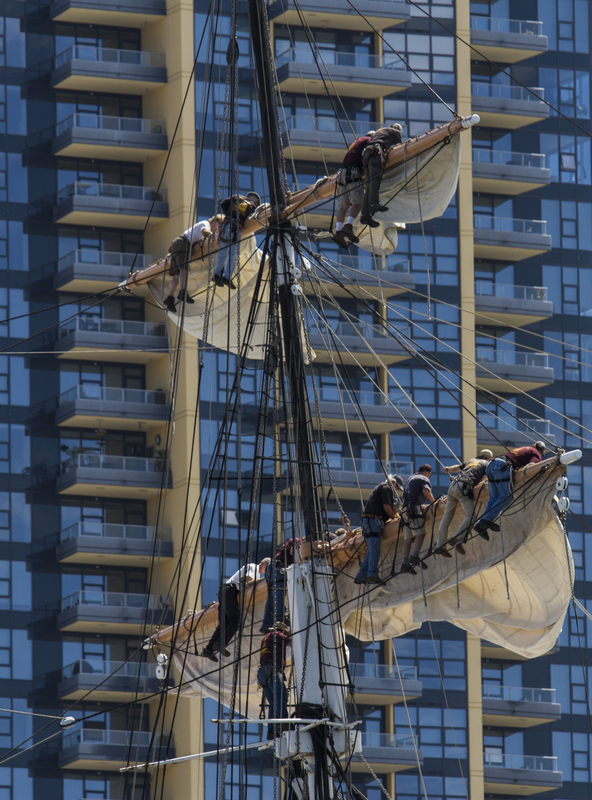 In this image sailors unfurl the sails of the 19th century Star of India against the backdrop of a 21st century high-rise condominium tower in downtown San Diego. See more juxtaposed images at the WordPress Weekly Photo Challenge. Perhaps the best juxtaposition I’ve seen in the entire challenge. Really a great capture. Ha, thanks Tina. There really some good ones this week.